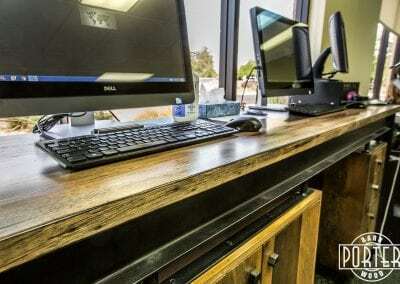 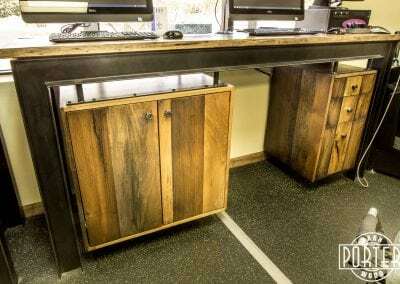 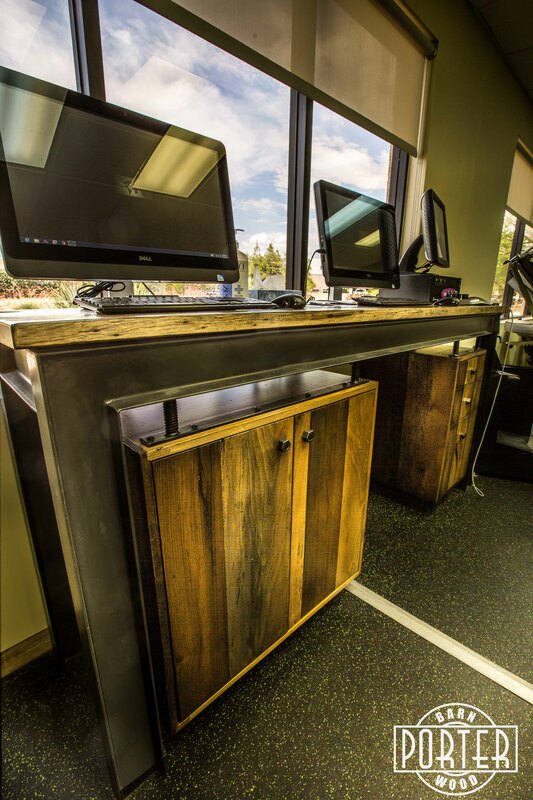 These I-Beam Suspension Desks were designed to fit the unique requirements of a chiropractic office. 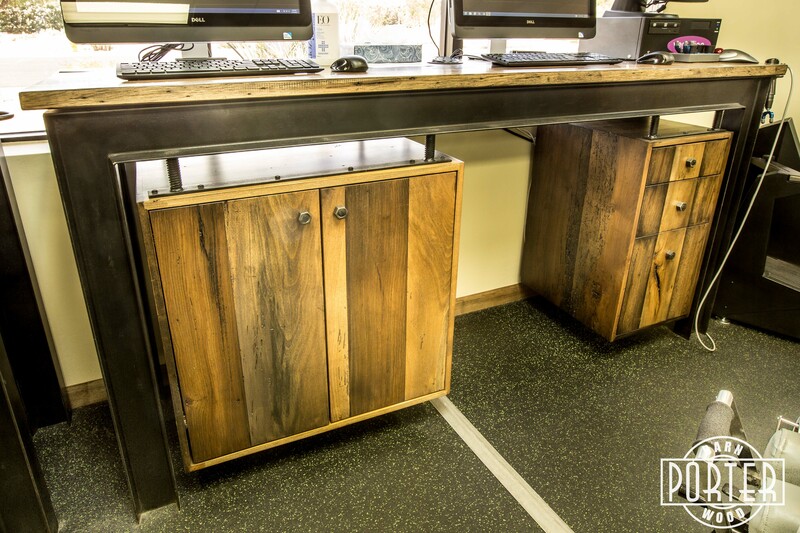 They have a custom storage compartment under the hinged top and there are suspended cabinets with lots of drawer and shelf space inside. 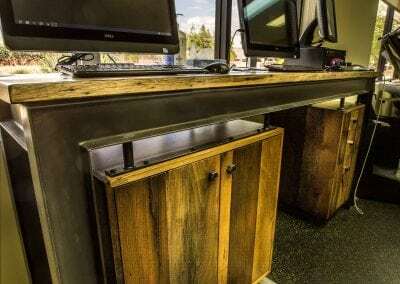 The grommets in the top allow the cables to be neatly hidden away, and the custom steel ring sets are sized to the equipment that is being used. 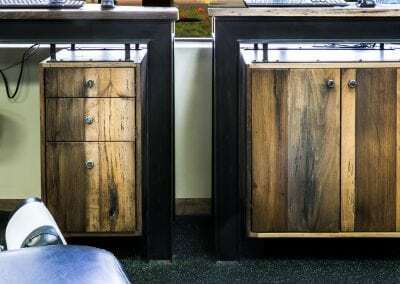 The tops and the cabinets are made from mixed reclaimed hardwood and finished in a clear flat lacquer.